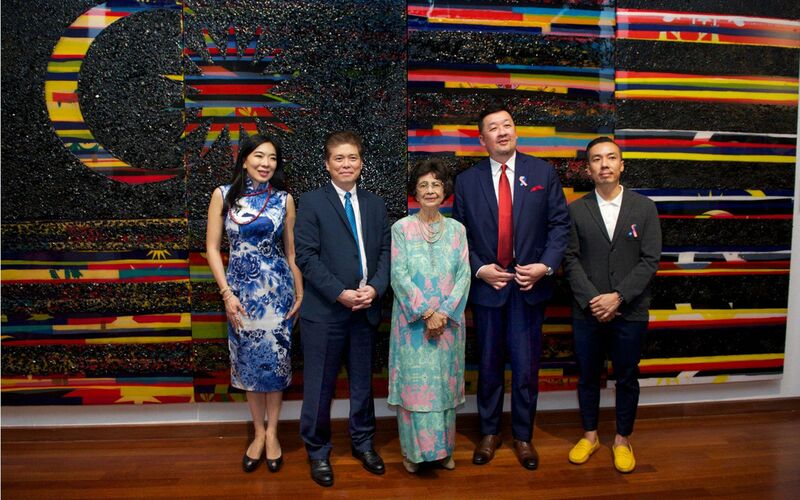 Amidst the country's 61st Merdeka celebrations, Wei-Ling Gallery welcomed the official launch of the ‘Teh Tarik With The Flag’ exhibition, a eclectic display of artwork by 13 prominent Malaysian artists held in collaboration with the National Art Gallery of Malaysia. The afternoon launch was graced by Tun Dr Siti Hasmah and granddaughter Melisa Lara Mokhzani. Following an artists’ dialogue featuring Choy Chun Wei, Hayati Mokhtar and Ivan Lam, a medley performance by Symphonia Fantasia wowed the crowd led by Winnie Cheah and her 3-year old granddaughter, Lim Rae-Lyn. Wei-Ling Gallery curator Lim Wei-Ling and Tun Dr Siti Hasmah shared moving speeches as guests like Dato' Dr Mohamed Najib Ahmed Dewa, Datin Dian Lee, Datin Meera Sen and others mingled in the crowd. Lim Wei-Ling The owner and curator of Wei-Ling Gallery and Wei-Ling Contemporary is one of our nation's highly sought after art consultants.